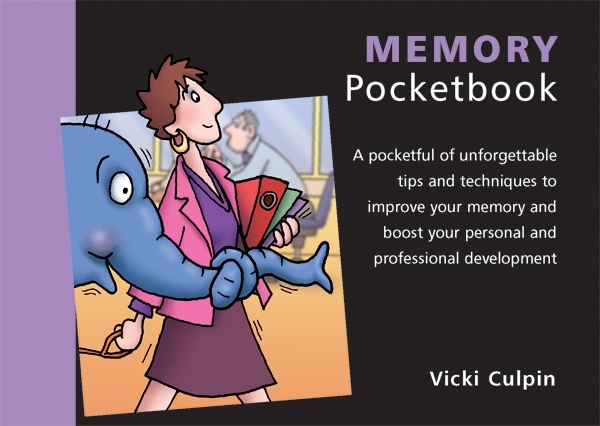 Introducing the…um…er…oh yes, The Memory Pocketbook! Memory is fundamental to our very existence but how much do you know about it and how much effort , if any, do you put into improving your memory? In a business context you professional development and well-being depend upon it. Episodic and semantic memory both have a role within a business context as this book explains. The book looks at the structure of memory, distinguishing between sensory memory and short- and long-term memory. It describes the causes of poor memory (tiredness, cognitive overload and poor concentration) and the key principles for improving it (attention, effort, motivation and meaning). Lesley Richardson, Reporter, Press Association.